Marshy area between Greymane Manor and Stormglen Village after Duskhaven sinks. 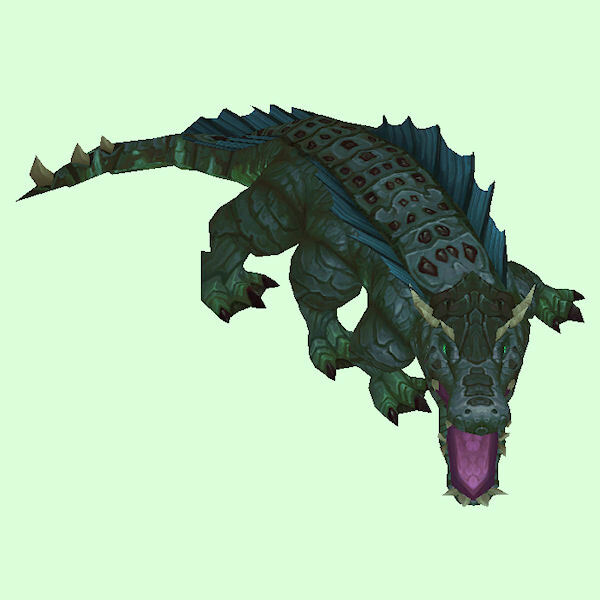 Same as other versions of the Swamp Crocolisk, but this id occurs in the same swamp after the Battle for Gilneas City. Spawns on what used to be the crocolisk island in the southern part of the dried-up loch. Populates the Forsaken Front just north of the Greymane Wall. Spawns during the Lockmaw encounter. Spawns during the quest The Great Water Hunt. Skittering Hollow, Un'gol Ruins, Verdant Wilds, Rotting Mire, Molten Cay, and Whispering Reef expeditions. Only appears during the Horde quest On Track during The Fate of Saurfang quest chain.